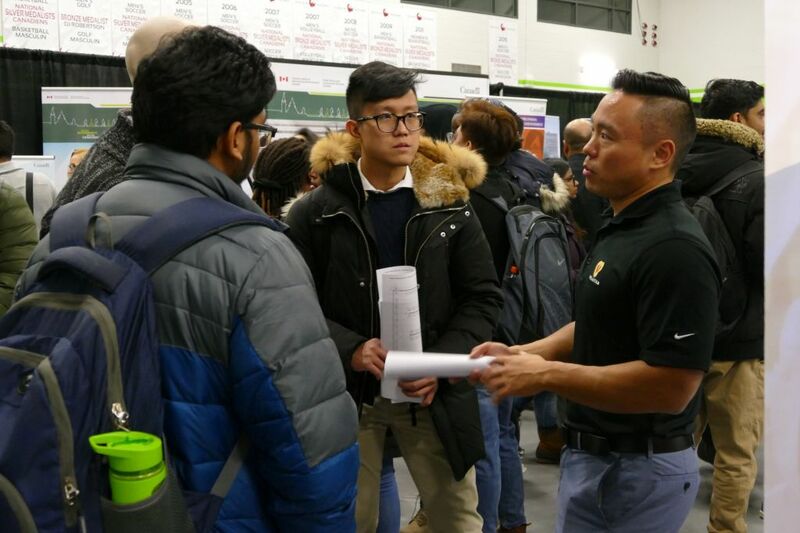 Hundreds of Algonquin students and alumni alike flocked to the college’s gym in hopes of finding a new career path with one of the many employers recruiting at the annual Algonquin College Careers Fair on Feb. 12. The fair, returning for its 21st year, brought in more than 70 companies looking to hire for both co-op and full time positions. In the past couple of years, the fair has had around 1,700 people come through to network, with this year’s attendance rivaling that number. Patrick Chen, a software developer with Versaterm, believes that Algonquin’s Careers Fair was an outstanding event – one of the most successful he’s seen. The event is organized by the college’s employment support centre, which hosts workshops throughout the year to assist students in preparing their resumes and promoting themselves. “You have to learn how to network and promote yourself, so it’s great practice to come chat with the recruiters, handshake, make eye contact, and promote yourself,” said Carol Ann Mahoney, an employment outreach officer with the centre. Shaundra Oelsner, senior associate manager with Sun Life Financial, has come to the fair every year since she joined the company. She agrees that the turnout was on par with previous years, and that there were even more recruiters this time around. 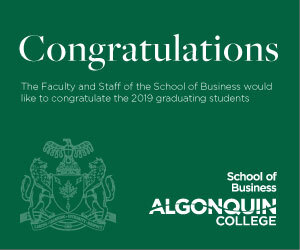 Oelsner is an Algonquin alumnus herself, having graduated from the nursing program 20 years ago. She made the career switch to finance a few years after that, and has since encouraged students to apply their skill sets to a wide range of professions. “I’ve been here every year because I’m an alumnus, and I want to teach others that they have transferable skill sets,” Oelsner said. 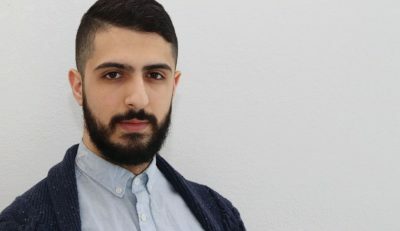 “We all have different skill sets that we can transfer and you just have to be brave and step out, and I’m looking for the person here that is that brave, entrepreneurial mind. As his first career fair, he thought it would be an intimidating experience, but was happy with how friendly all of the employers were. Though the Careers Fair comes only once a year, Mahoney encourages anyone looking for employability advice to visit the employment support centre in E350. Major turnout for annual career fair Reviewed by Emily Hsueh on February 14, 2019 .